One of the toughest challenges leaders face is how to deal with two team members who aren’t getting along. It is especially problematic when each person on their own is a positive contributor, but the conflict between them is disrupting the team. 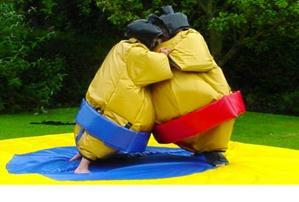 If you don’t care about your work culture, you could do what one manager did – rent inflatable Sumo wrestling suits and have the two parties fight it out in front of their teammates. If you prefer a more peaceful approach I recommend you do what I do – listen to Judy Ringer. 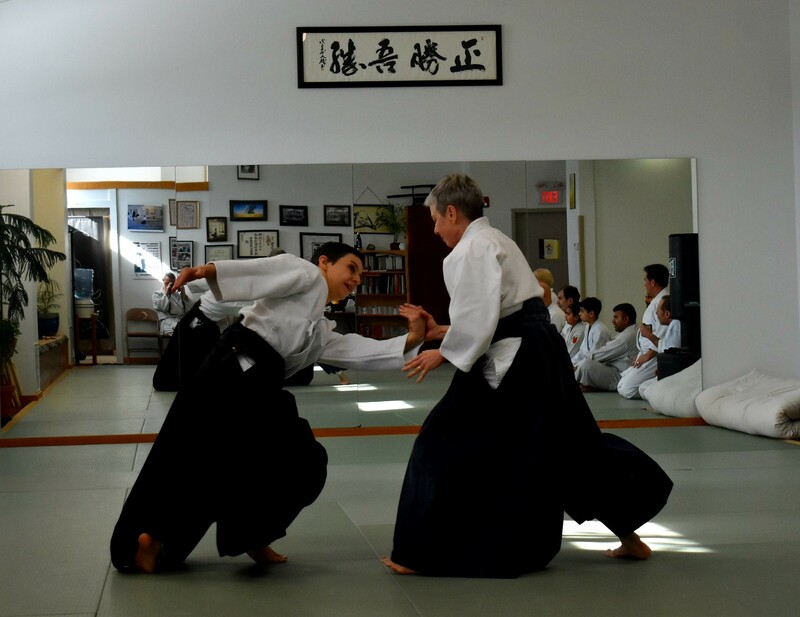 Judy is an expert in using a more peaceful approach tied to her practice of Aikido. Judy’s new book Turn Enemies Into Allies: How to Improve Coworker Relationships is coming-out on May 1st . 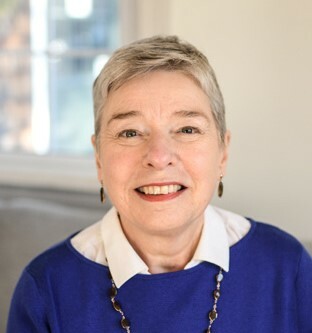 I am very pleased that Judy accepted my invitation to write a guest post today. Here are Judy’s thoughts. In a quarter-century of training and coaching, I’ve seen dozens of managers and leaders struggle with this question. As a conflict and communication skills professional, I work closely with managers of small businesses and corporate teams. Usually, the manager asks me to solve the problem—to intervene between two people who are equally important to the company and who are not getting along. In many cases, their conflict is distracting to those around them and hurting the organization. And I understand the manager’s challenge. Although intervening in conflict is not for the faint of heart, it comes with the job if you’re a manager, supervisor, or leader. Even so, you may not have received the necessary training or previously encountered such a challenge. My approach to conflict stems from the martial arts, specifically the Japanese martial art aikido. In 1994, I started practicing aikido because I resonated with the metaphor it offers for dealing with difficulty, challenge, and the unexpected. Although first and foremost a martial art, aikido’s goal is not to block a strike, win a contest, or otherwise prevail over an opponent. A recent evolution of the martial arts, aikido was developed in the early twentieth century and is often translated as “the way of blending or harmonizing with energy” or more simply “The Art of Peace.” Aikido principles, such as entering—moving off the line of the attack and into a partnering relationship with the attacker—create alignment with the incoming energy, or ki. Another principle is blending. When you enter and align with the incoming energy, you can blend with it and redirect it, such that both attacker and receiver remain unharmed. These three principles—entering, blending, and redirecting—are fundamental to aikido as well as to managing conflict “off the mat”—in our workplaces and in life. 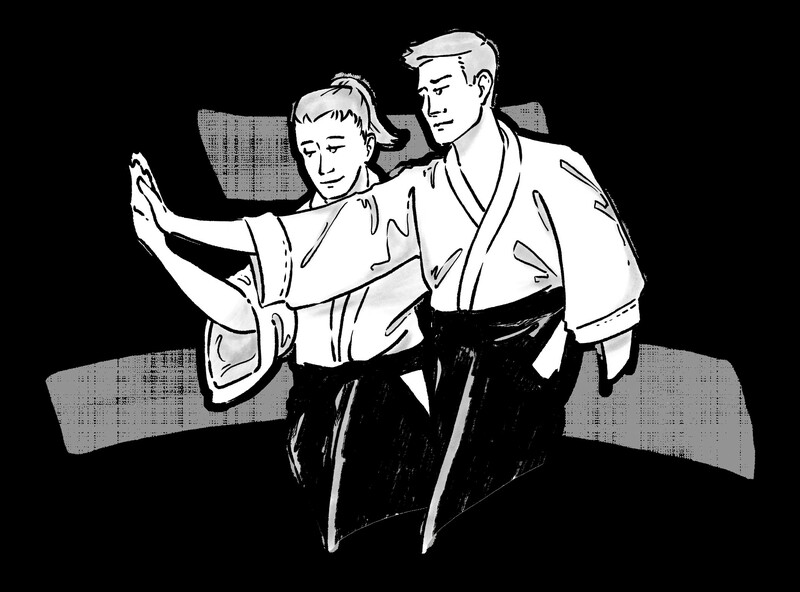 Although the idea of aikido may seem exotic, you are practicing aikido whenever you listen with curiosity to an opposing view, or search for mutual understanding. Aikido happens any time you stop, take a breath, and choose a centered state of being. In life, the aikido metaphor is realized when you sense the opportunity in conflict and adapt to new circumstances with ease, moving with life’s flow instead of struggling against it. 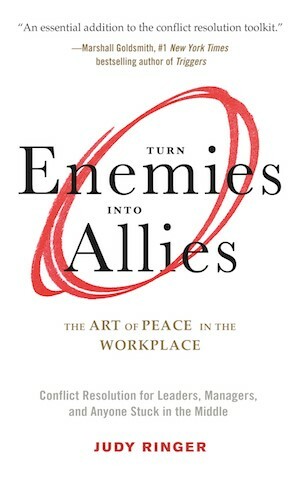 In my book, Turn Enemies Into Allies: The Art of Peace in the Workplace, I make use of the aikido metaphor to help managers and leaders intervene in a structured way to help the parties not only resolve the conflict but also learn valuable life skills and become leaders and role models. Entering, blending, and redirecting are what you do as the coach to engage the parties and bring them back to a more centered work relationship. But first we bow onto the mat and prepare. More important than anything else is your ability to manage you—your mindset, your emotions, and your skills—and to bring an open, learning, and non-judgmental outlook to the intervention. For example, appreciate conflict as opportunity for yourself and the parties involved. Conflict is real and inevitable, and its energy can be an opening to learn, grow, and change if we see the possibilities it offers. My experience is that it’s important not to bring the parties together at first, but to meet with them individually for a few sessions to understand the conflict from each viewpoint and to see what each person needs in order to move forward. During the individual sessions, the parties begin to gain appreciation for their conflict partner’s side of things. By listening non-judgmentally, asking useful exploratory questions, and acknowledging each party’s positive intent, you give each individual time and space to tell their version of the conflict story as well as how it is affecting them and their work. This process releases the pent up energy behind each story, so the individual can begin to see there might be another way to tell it. Throughout the sessions, you’re helping the parties see their contributions to the conflict and build critical communication skills such as centered presence, emotion management, and problem solving. When the parties are equipped with skills, an open mind, and an intention to resolve the conflict, you’ll bring them together. You have also gained a lot of information, which will help you ask questions that build rapport and smoothly broach areas that are ready to be resolved. What you learned in the individual sessions will stimulate further conversation about values, wisdom gained, and what a sustainable resolution looks like. When it’s time to leave the process, life and work being what they are, people are often tempted to fall into old patterns. It’s important that the parties leave with agreements, written or otherwise, about how they will be accountable and continue working with each other to build the relationship. One way to do this is to explore future challenges and plan follow-up reinforcement. Whatever approach you choose, you’ll soon be on the path to resolving workplace conflict as well as creating more peace and productivity. This approach is founded on the premise that you can help resolve employee conflict with conscious intention and some key skills, which are translatable and transferable. This represents an investment of time and energy, and it’s worthwhile work.